Founded in 1911, this handsome Edwardian gallery offers a broad range of visual arts from the original bequest of Richard Glynn Vivian (1835–1910) to art of the 21st century. In 1854, Richard Glynn Vivian inherited his share in the family’s famous Swansea copper works. He travelled the world, and collected art throughout his life. In his old age, he decided to gift his collection to the people of Swansea for their enjoyment, ensuring that the Gallery was built to house the artworks. The city is proud to inherit this unique legacy, and the Gallery continues to thrive today. The 20th century is particularly well represented with modern painting by Hepworth, Nicholson, and Nash alongside Welsh artists such as Ceri Richards, Gwen John and Augustus John. These works complement the exhibitions programme in the modern wing, which brings the work of today's artists alive with its sharp, contemporary overview of the arts. The Gallery also has a lively learning programme with an open, engaging and transformative approach to participation. 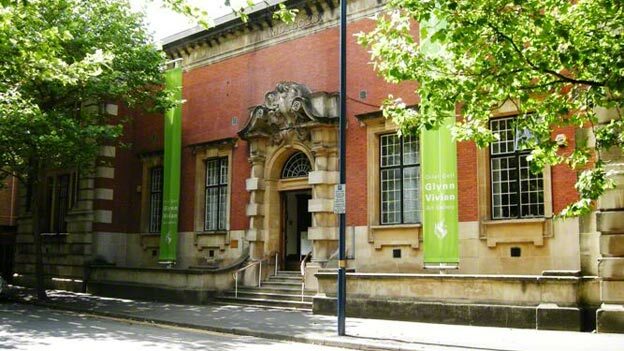 Glynn Vivian Art Gallery is part of the City and County of Swansea and is supported by a grant from the Arts Council of Wales and Heritage Lottery Fund. For further information, please see www.glynnviviangallery.org, or stay in touch via our blog www.glynnvivian.com, follow us on twitter@GlynnVivian or find us on Facebook.